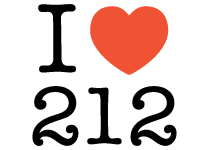 Business numbers in the prestigious 212 area code are not common and typically are easier to remember which makes it ideal for businesses looking for clients to remember their phone number (can be used for personal as well). Yes, you can port any 212 number purchased form us to Google Voice. Exclusive numbers in the prestigious 212 area code are extremely hard to obtain, in the exclusive category we list a multitude of numbers including hard to find numbers that end in 00 or sequential & semi-sequential numbers.